Volvo's new S60 finance benefits. 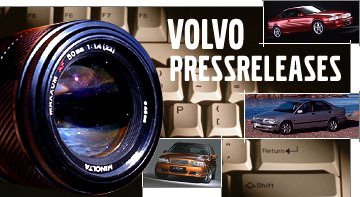 Volvo S60's superb resale values save drivers money on finance costs. All-new premium mid-size saloon receives excellent residual values. Equal-best-in-class figures for three years and both 30,000 and 60,000 miles. High residual values mean low finance costs – S60 available from just £299 a month via both PCP and PCH. The dynamic new Volvo S60 saloon has been awarded excellent residual values, meaning lower monthly costs for customers financing the car on a lease contract and higher resale values for those purchasing the car outright. Residual value experts cap hpi have estimated that the S60 T5 R-Design Edition – the high-specification launch version of the premium mid-size saloon – will be worth 46% of its original new price after three years and 30,000 miles. This compares favourably with the S60's direct rivals, the Audi A4 40 TFSI Black Edition (42%) and Mercedes-Benz C300 AMG Line (40%), and is on a par with the BMW 330i M Sport (46%)*. Drivers doing higher mileages also benefit from strong residual values. Even those S60s covering 60,000 miles over three years are expected to be worth 39% of their original new price. By comparison, the Audi A4 40 TFSI Black Edition has a residual value figure of 35%, the Mercedes-Benz C300 AMG Line is rated at 34%, with the BMW 330i M Sport again matching the S60, at 39%. Strong residual values ultimately translate into lower monthly Personal Contract Purchase (PCP) and Personal Contract Hire (PCH) rates, making the S60 a competitive choice for personal and business users alike. Jonny Miller, Volvo Car UK's National Leasing and Residual Value Manager, said: "In the leasing sector, whether for private or business drivers, residual values have a significant impact on lowering monthly costs. We're delighted that the dynamic new S60 has been forecast to hold its value so well. "The S60's striking Scandinavian design, advanced connectivity technology and unmatched safety features make it a desirable car, and such strong residual values mean it is now an even more attractive and affordable choice." Matt Galvin, Volvo Car UK's Sales Director, added: "The new S60 completes the refresh of the entire Volvo product portfolio, giving us one of the youngest model ranges in the industry. We're confident that this stunning new saloon will also enable Volvo to maintain its title as the UK's fastest-growing premium car brand." The third-generation S60 is initially offered in generously equipped R-Design Edition form, which comes with a powerful yet efficient 250hp petrol engine, 19-inch alloy wheels, Nappa part-leather sports seats, a driver's head-up display, rear-view camera and a 14-speaker premium sound system from Harman Kardon. The range will soon be extended with additional trim levels and powertrain choices, including all-wheel-drive petrol-electric hybrids. The S60 is the first of Volvo's current models not to be offered with a diesel engine. The S60 R-Design Edition is on sale now, priced at £37,920 on the road, or from just £299 a month on a PCP contract and £299 a month via PCH**. The S60 makes its debut in UK showrooms on 11 May, with first customer deliveries expected later that month.